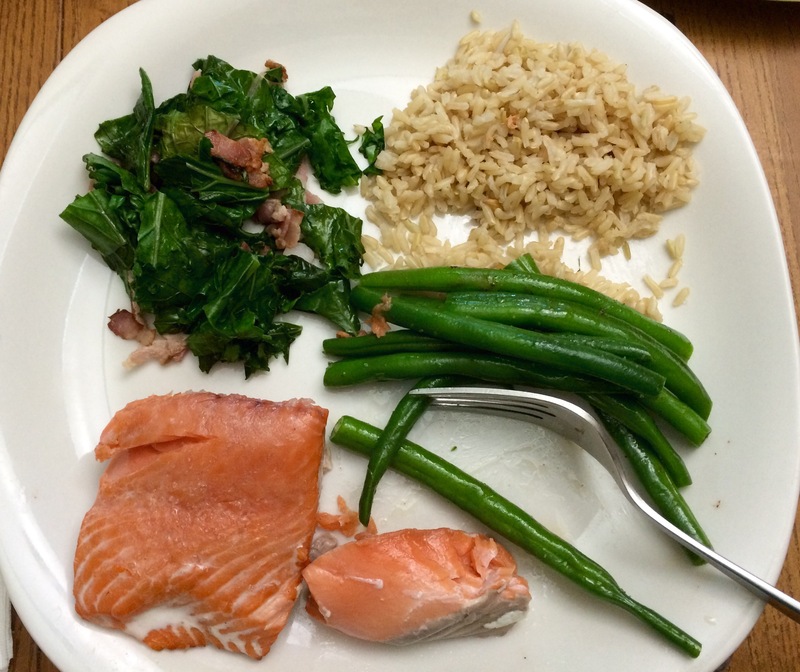 Fresh-caught salmon from our neighbor, green beans with brown butter, brown rice, and Tuscan kale with bacon. Everyone practically licked their plates. The kids and Tom finished up with some leftover birthday cake. Yay for family dinner!